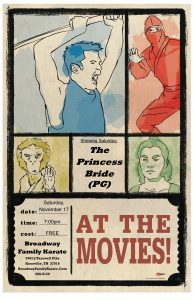 We will have a Movie Night this coming Saturday, November 17, at 7:00pm. 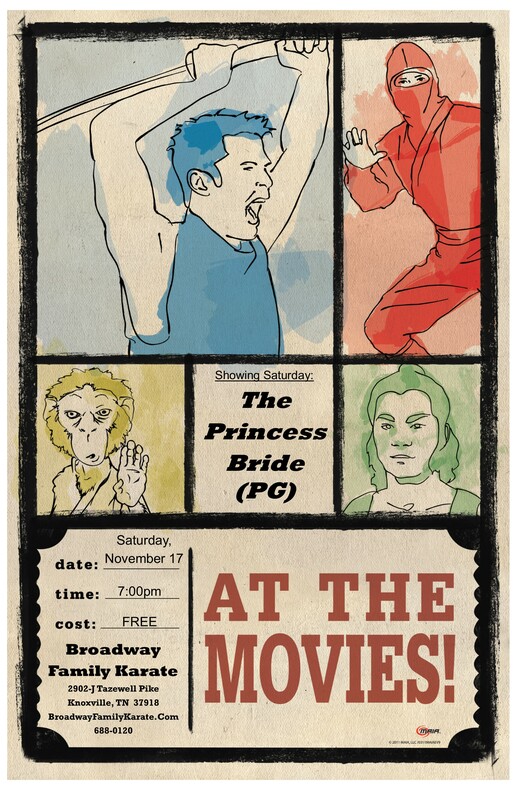 Our movie will be The Princess Bride, and is rated PG. You’re welcome to invite family and friends to come with you for the movie. 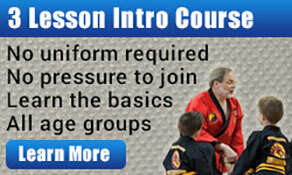 Please bring a pillow and a blanket with you — we’ll be out on the training floor to watch the movie.